Buy Michelle @ Chelle's Book Ramblings a Coffee. ko-fi.com/micalpe - Ko-fi ❤️ Where creators get paid by fans, with a 'Buy Me a Coffee' button. Hi! I'm Michelle an English/Spanish Translator who loves to read and blog about it. I would love to be able to self host my blog, add more giveaways and offer my services as translator and editor. Hope you guys like my content and decide to pitch in with my cause. Secured Payments. Support goes to Michelle @ Chelle's Book Ramblings's account. 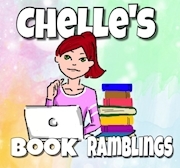 Upgrade Michelle @ Chelle's Book Ramblings to a yearly Gold Membership with a one-time payment.